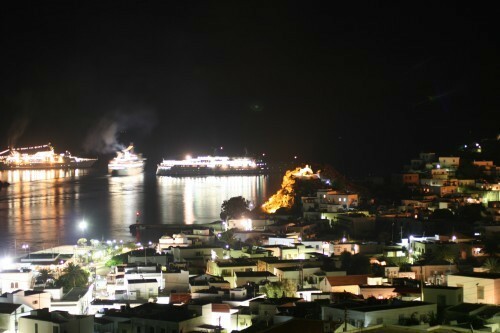 Although not known as a party island – monastic influence, though no longer all-encompassing, has had a long hangover – Patmos certainly is certainly alive at night, offering more discreet “high end” entertainment and fashionable socializing. You’ll find some bars and discos in Chora and Skala, all located within a 5-10 minutes drive from Patmos Villa Sophia, and the atmosphere is more relaxed than anything else, so you can enjoy some excellent nights out. The doors can close there for soundproofing after midnight to allow them to play music till 4AM on weekdays and as long as they like on weekends and public holidays. There are many cafes located all over the island and they are allowed to play music till midnight. Most of them have delicious desserts and coffee and you can try a frappe, a very popular Greek ice coffee. Various bars can also be found on the beaches, only a few miles from Patmos Villa Sophia, and most of them serve food and drinks to either sit in or take away while music is allowed till after midnight but not in excessive volume.